In 2003 and 2004, the Hubble space telescope looked at a dark patch of sky in the constellation Fornax. After gathering light for about 275 hours, what it found was an image of more than 10,000 distant galaxies in a patch of sky about the size of a grain of sand held at arm’s length. Assuming this patch of sky is typical, we can calculate that there more than 100 billion galaxies in the visible universe. A typical galaxy has about 100 billion stars, and the vast majority of those stars have planets. All of that from a single patch of sky known as the Hubble Ultra Deep Field (HUDF). Of course that assumes the deep field captured by Hubble is typical. There have been a few other deep field observations made, but not a wider survey of different portions of the sky. 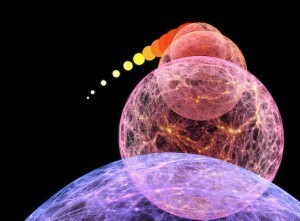 Now there’s a new project known as Frontier Fields that will answer whether the HUDF is typical or not. The project will make long observations of six dark patches of sky. These images will be similar to the HUDF, and will give us an idea of whether the distribution of galaxies we’ve seen is typical. But there’s another aspect to this project that is equally interesting. The Hubble telescope has different detectors, so it can make multiple observations at the same time. In this case it is the Advanced Camera for Surveys (ACS) and the Wide Field Camera 3 (WFC3). These two detectors look at slightly different patches of sky. So while one is looking at a dark patch of sky, the other is focused on a cluster of galaxies. The Hubble is then rotated so that each camera looks at the other patch. Since the ACS is viewing at visible wavelengths, and WFC3 at infrared wavelengths, we’ll have a wide rage of data for both patches of sky. 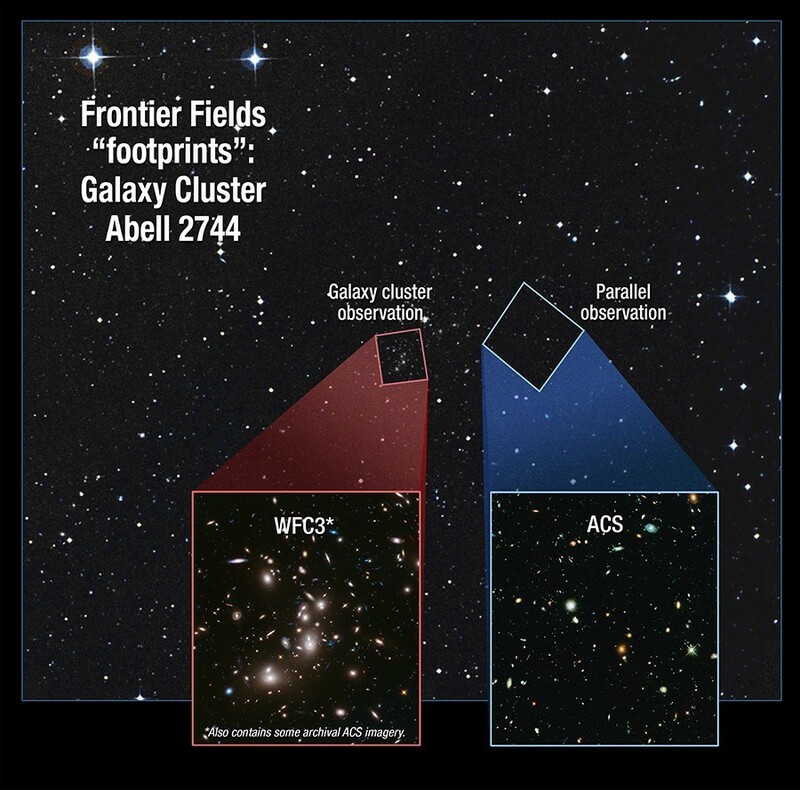 The reason the project is also looking at galaxy clusters is because galactic clusters are also clusters of dark matter, and together they can gravitationally lens even more distant galaxies. So while one camera is gathering data for a deep field observation, the other is gathering data on even more distant lensed galaxies. Do this for six different locations in the sky and you have a good idea of the distribution of the most distant galaxies in the visible universe. All that from a space telescope that is nearly 24 years old.